​Are you tired and irritated of not being able to remove those stubborn dry paint stains from your shoes? What if I told you that you can certainly get rid of those paint marks from your shoes once and for all? I want to know how many times you have tried to clean your messy shoes and yet failed to get the desired results. Lets be honest here guys. Removing dry paint from any kind of shoes, boots or sneakers is very tough. But its only true for those people who are not actually aware about the efficient methods to clean paint from their shoes. Yes, you can remove any kind of paint; may it be acrylic paint or spray paint from your shoes. You just have to know the right cleaning method to achieve the end results. And this is why I have published this article. Today, you are going to learn all my tried and tested tricks that you can use for your shoes to get rid of those dry paint marks. So, I kindly request you to read the article from start to end and then implement any of the given methods which you feel suitable for your shoes. ​​1. This method is useful to get rid of dry paint from the midsole of any kind of shoes or boots. If you don’t like already painted midsole color, you can change it by using this cleaning method. 2. First, you will need to use a metal file which you can obtain online if you don’t have any at your home. You will need to use metal file to scrape off the color which is present on the border line of your midsole and at the edges of midsole. It will help you to get rid of the entire paint in effortless manner. It will be easier for you if you get rid of the border color first before you actually remove the color from the middle part of the midsole. Remember, when you use metal file, don’t press it really hard; otherwise, you may damage the shoe material. So I request you to scratch off the border color carefully to avoid the material damage. 3. Once you scrape off the edges of the midsole properly, its time to use your soft bristled toothbrush to remove any remaining dust, excess paint and any flakes that might have remained on the shoe after the use of metal file. 4. After this basic preparation, you will need to use a blue painters tape to mask off all the areas above the midsole. This is important to do so that you can avoid the acetone affecting the areas other than the midsole. 5. Once you mask off all the areas above midsole, its time to use pure acetone to clean all the remaining dry paint from your shoe midsole. Before this, you will have to wear the rubber gloves to safeguard your hands from the liquid. 6. You will also need some cotton balls to cover the air units of your shoe. This will prevent acetone from entering into the air units by mistake. 7. Now once you do that, it is time to start applying acetone liquid on the dry paint of your midsole. Dab the cotton balls with acetone and apply the liquid with cotton balls on the midsole. Here, one this is very important to do. And that is not to rub or press the cotton balls excessively on the midsole. If you do it, you may damage the midsole. So it is better to rub it gently and remove the dry paint safely. 8. While cleaning the dry paint, I recommend you to not go over the same spot repeatedly to avoid material damage. Acetone is a strong paint thinner and liquid cleaner which helps to remove stubborn dry paint marks or stains easily. This is why you can use it safely for cleaning your shoes and to remove the dry paint from it. 9. Once you remove the color completely, use warm water to clean the shoe. Now, if you want, you can repaint your shoe again with a new attractive color or keep as it is. To know this entire cleaning process step by step, kindly watch the following video from start to end. ​If your shoes have got very soft dry paint stains or acrylic paint marks, then you can simply try your household dish detergent powder. This way, you can either soften the paint marks or you can even get rid of those marks completely. Remember, this method is useful only to clean soft dry acrylic paint marks. ​1. First, you will need to make your dry paint marks softer by damping them with wet cotton balls. 2. Once those marks become soft, then you can apply a knife or a metal file to delicately remove the paint marks from your shoes. 3. 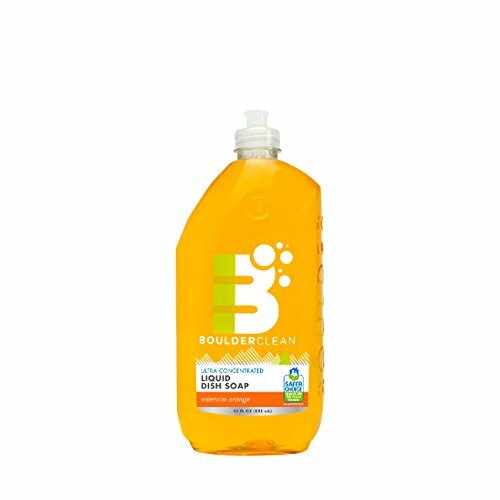 Even after using this cleaning method, if you still see some marks or stains then just take a soft sponge and dip it into the mixture of detergent liquid. Now start rubbing the remaining paint marks with the wet sponge. This will slowly remove the remaining marks gradually. 4. You can even put your shoes under a shower and wash them if they are waterproof. 5. Finally let your shoes become dry by putting them aside for overnight. ​Mineral spirits is much better solvent than paint thinner. It is odourless and it is more refined as compared to any paint thinner such as Acetone. 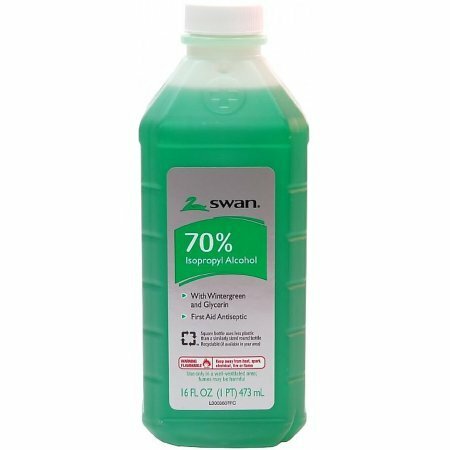 It has several cleaning benefits which makes it a good cleaning agent for shoes, floors, paintbrushes, and painting tools. It can be used to remove oil based paint marks from your shoes, boots and sneakers. Since, it is in more pure and refined form, you will need to use it in a small quantity. ​1. First, take a soft bristled toothbrush and damp it in warm water. Then slowly rub it on your shoes in circular manner. Try to focus more on the areas where the paint marks are prominently present. 2. Once you soften those marks, its time to use a odourless mineral spirit liquid on them. Take another dry and clean soft cloth and dampen it with mineral spirit that you have at your disposal. If you don’t have it at your home, then order it online. 3. Now start rubbing the prominent paint stains and marks on your shoes with this cloth. Rub it slowly and gently for 1-2 minutes. You will see that after few minutes, the marks are gone completely. 4. If you use it in moderation, it would be a safe method for your shoes. So, use this liquid in limited quantity. Kindly watch the following video to learn how to implement mineral spirit to get rid of paint marks from your shoes. ​There are some industrial level cleaning products available in the market which you can use for household cleaning too. 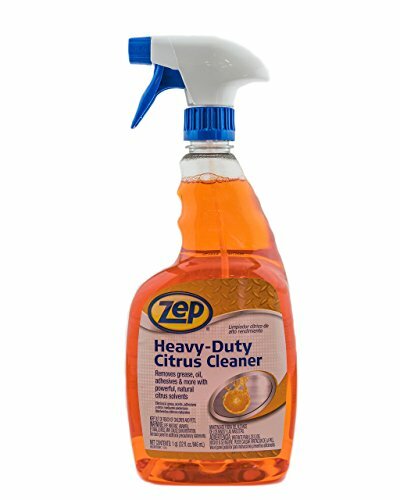 Zep Heavy Duty Citrus Degreaser is one such product that you can use to get rid of those stubborn paint stains and marks from your shoes. Don’t worry. It is safe to use at home. Just keep it away from the children’s reach. It is mainly used to clean your kitchen surface and other home appliances. But it can also be safely used to remove dry acrylic and water based paint from your shoes. ​1. First clean your shoes with warm water. 2. Slowly rub toothbrush on your shoes to remove dirt and stains as much as possible. 3. Once it is done, dampen the dry cloth with Zep heavy duty citrus degreaser liquid and now slowly rub the areas where the paint marks are prominently visible. 4. Keep rubbing slowly till you get satisfactory results. 5. Once cleaning is done, wash your shoes again with warm water and put them aside for overnight to make them dry. Kindly watch the following video to learn how to implement this cleaning process step by step. ​There are latex paint remover products available in the market that helps you in removing old latex paint and latex enamel from wood, floors, metal, concrete and walls. You can also use such paint removers to get rid of the paint spills and dry paint marks from your old shoes, boots and sneakers. The best type of remover you can use for such jobs is Motsenbocker’s Lift Off Latex Paint Remover. It can easily remove acrylic paint marks, old dry out latex paint stains and wet oil based paint marks from any type of footwear. ​1. First you will need to wash your shoes with warm water to make dry paint stains more softer. 2. Then use a toothbrush to more soften the old paint marks on your shoes. 3. Once the marks or stains get soft, you can dampen the cloth with Motsenbocker’s Lift Off Latex Paint Remover and start rubbing on those marks slowly. 4. Continue rubbing on the marks till you see them gone forever. 5. Once you see the marks are removed, then just clean your shoes with dry cloth and let them dry for some time. ​If you are afraid of ruining the material of your shoes by entirely using acetone liquid, then you can do this trick safely. A mixture of 80% of nail polish remover and 20% of pure acetone liquid works best when you want to remove paint marks from your footwear. ​1. Take one small container to prepare the mixture of both the liquids. 2. You can buy both products cheaply online if you don’t have them at your home. 3. 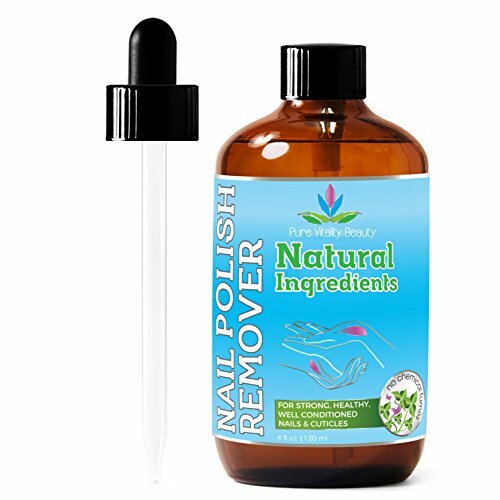 Take a measuring cup and pour 80 ml of natural nail polish remover and 20 ml of pure acetone into the cup. 4. Mix it properly and now start applying the mixture on your shoe with the help of cotton balls. 5. Try to rub it slowly and carefully on the paint marks to remove them clearly. 6. Once you are done removing the paint, you can clean your shoes with soft wet cloth and let them dry for some time. You can watch the following video to know which product works better. 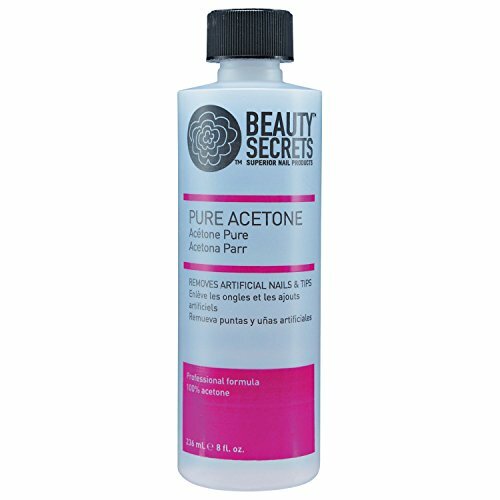 Does acetone works better than nail polish remover? Yes, it does to some extent. But it is safer to use nail polish remover because it contains less harmful chemicals. Because of this fact, I came up with an idea to mix them both and get benefited from both these products at one time. This way you can reduce the risk of ruining the shoe material and also can effectively remove the dry paint from your shoes. Now watch the video to understand the process. ​Yes, a safe and reliable paint remover product such as Formby’s Paint & Poly Remover can be very effective to remove dry paint marks from your footwear. This method is really easy and straightforward. ​1. First, you will need a masking tape to cover the upper and other parts where you don’t want to remove existing shoe color. Cover those areas carefully so that the paint remover liquid do not affect those parts. 2. Now use the paint brush to apply the paint remover liquid of Formby’s Paint & Poly Remover. Apply this liquid slowly and gradually to all those parts where you want to remove the paint marks and stains. Before you apply the paint remover, you can insert cotton balls in the shoe’s air units to prevent the entry of the liquid inside by accident. 3. Once applied the liquid, keep it for just 30 seconds to 1 minute and then use your metal file or small tactical knife to scrub off the paint from your shoes. 4. Use the knife carefully and not harshly to safeguard the material of the shoe. 5. Once you are done using the knife, remove the remaining dirt and paint stains using 3M stripping pads. The paint marks or stains get easily removed once you apply this paint remover to your shoes. Just be careful not to use this liquid to sensitive parts of your shoes like upper and tongue. You can use this method to alter the color of your shoe midsole. Kindly watch the following video to understand the whole cleaning procedure in detail. ​Vinegar is a natural cleaning agent which can be used to clean and wash leather shoes and boots safely. It can also be used safely to get rid of paint stains and old dry marks from your shoes. Here is what you will need to do the same. ​1. In the beginning, you will need to clean your shoes first with wet soft cloth to get rid of dirt and to make the dry paint marks softer. 2. Then, take a bottle of white distilled vinegar and few cotton balls. 3. Mix the vinegar with warm water well and dampen the cotton balls with the liquid. 4. Now start applying the vinegar on the paint stains and marks of your shoes. 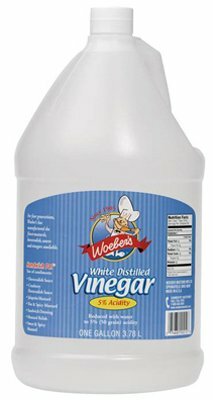 Vinegar is best in softening dry paint marks. 5. Once you apply the vinegar completely, make use of 3M stripping pads to get rid of the paint from shoes. Scrub the affected areas carefully to remove all the visible marks and stains. 6. Finally wash your shoes with warm water to make it clean and dirt free. ​Rubbing alcohol is a natural shoe deoderizer. It can also be used to polish your shoes and even to remove paint and oil marks from any clothing or shoes. If you want to clean your white mesh shoes then also you can use rubbing alcohol for the same. It has multiple benefits and usages. The procedure to remove the dry paint is as follows. ​1. First the spots on your shoes where the dry paint marks are visible, make them soft by applying some warm water on it with the wet cloth. 2. Now take a bottle of diluted rubbing alcohol and dampen the cotton balls with the liquid. You can also use a soft bristled toothbrush for applying rubbing alcohol on your shoes. 3. Rotate the brush in circular motion to remove the dry paint marks faster and without damaging the shoe material. 4. The leather and canvas shoes can be quickly cleaned using this method. Once you are done cleaning, let your shoes become dry for few hours. Watch the following video to understand how it is done in a simple way. 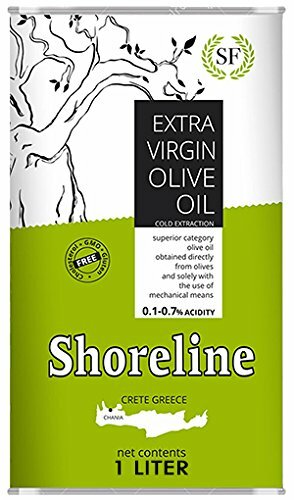 ​If your shoes have got old oil based paint marks and if you want to use completely natural and harmless remedy, then use olive oil for the same. 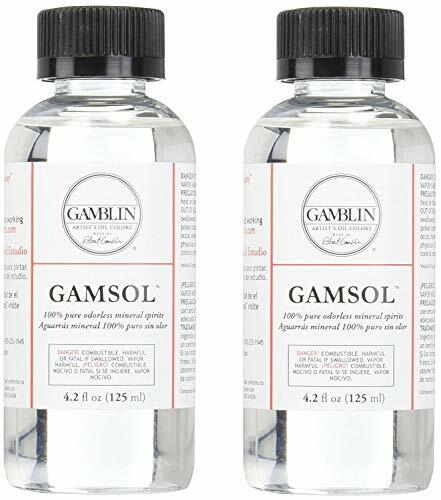 It is a natural cleaner which can be used efficiently to polish your shoes. It can be used to clean not just wet but also old and dry oil based paint stains from your leather and canvas shoes. ​1. The very first thing you will need to do is to make the old oil based paint marks more soft. For this take a reliable microfiber towel and wet it with water. Then make the dry paint wet with the towel. 2. Now take a metal file or a small tactical knife and try to scrape away the paint marks slowly and carefully. 3. For the remaining paint stains, take a bottle of virgin olive oil and pour few drops on the visible marks of your shoes. 4. Take a toothbrush and scrub the oil on the marks in circular fashion. If you want you can apply extra pressure to remove the stains and marks completely from your shoes. 5. Once you are done scrubbing the marks, use your wet microfiber towel to clean your shoes completely. ​Removing old dry paint marks and stains from your shoes and from any clothing seems difficult at the first look. But with the right tools and right cleaning procedure, you can get rid of those stubborn dry paint from your footwear for sure. Use the above 10 methods to remove the paint once and for all from your shoes. And make them look new again. If you want to know how to wash any Ugg boots in the washing machine safely, then click here to read more.